Easy to put up and compact when travelling. 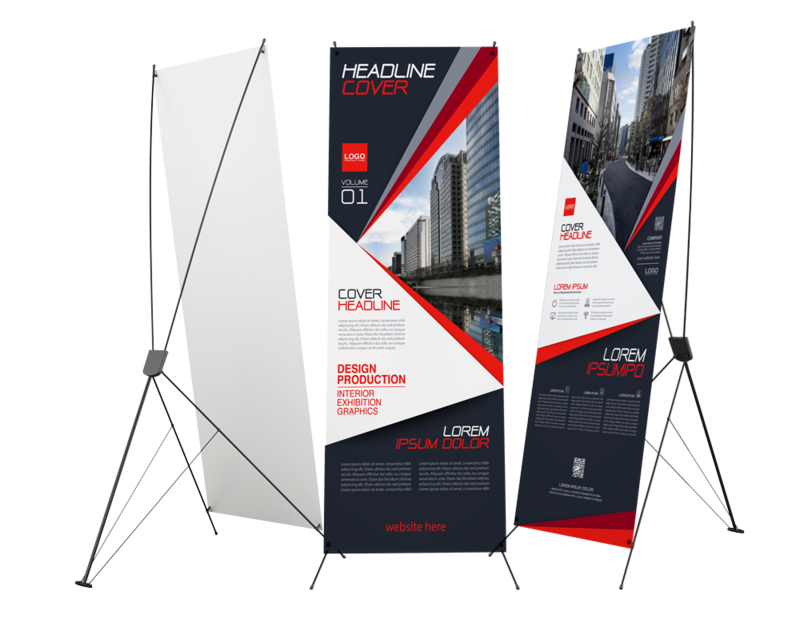 Coming in various sizes makes the X-Banner a perfect product for new / startup businesses or large companies looking at an affordable solution for launches and events but obviously not limited to. Like the pull ups, they are also printed in full colour using a layflat, non-curl pvc to prevent the rolling of the edges. A favourite here at BannersOnline and a must have for everyone.